THANK YOU FOR YOUR SUPPORT OF THIS EVENT. AS OF 1/14/2019 THIS EVENT HAS SOLD OUT. IF YOU WOULD LIKE TO BE ADDED TO THE WAITING LIST, PLEASE CONTACT JACKIE SEXTON AT EVENTS@SLCHAMBER.COM. The Utah Economic Outlook and Policy Summit is the state's premier economic forecasting and public policy event that is attended by over 1000 business, policy and academic thought leaders from across the state. The summit presents an unrivaled opportunity for attendees to gain insights on the future of Utah's economy and the policy priorities for the upcoming legislative session. 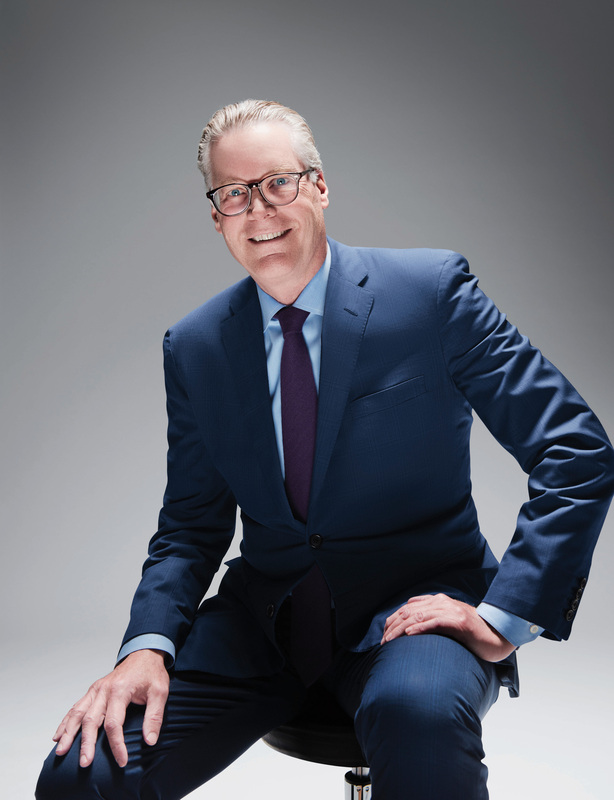 As CEO of Delta Air Lines, Ed Bastian leads a team of 80,000 global professionals that is building the world's premier international airline, powered by a people‐driven, customer-focused culture and spirit of innovation. Under Ed's leadership, Delta is transforming the air travel experience with generational investments in technology, aircraft, airport facilities and, most importantly, Delta's employees worldwide. A 20‐year Delta veteran, Ed has been a critical leader in Delta?s long‐term strategy and champion of putting Delta's shared values of honesty, integrity, respect, perseverance and servant leadership at the core of every decision. Since being named Delta's CEO in May 2016, Ed has expanded Delta's leading position as the world's most reliable airline while growing its global footprint and enhancing the customer experience in the air and on the ground. During his tenure as CEO, Delta has become the world's most awarded airline, having been named the Wall Street Journal's top U.S. airline; Fortune's most admired airline worldwide; the most on‐time global airline by FlightGlobal; a Glassdoor Employee's Choice company and more. This annual event is hosted by the Salt Lake Chamber, in collaboration with the Kem C. Gardner Policy Institute at the University of Utah. *Sponsors who register after 1/10/19 will be recognized digitally online and at the event. *Members of the Salt Lake Chamber: to receive the member discount you need to log into the event registration website using your membership username and password.If your company is a member of the Salt Lake Chamber, but you are having trouble registering, it could be that we do not have your email in our system. We can help fix that. Please email Becky at info@slchamber.com or events@slchamber.com or call the Chamber at (801) 364-3631. * Sponsors who register after 1/10/19 will be recognized digitally online and at the event. If you are interested in sponsorship opportunities, please contact Abby Osborne at aosborne@slchamber.com or call (801) 328-5071.